Horizon-line explores the perpetually visible, but unreachable space of the horizon line – that destination that is conceptually a boundary and a gate, a space one longs to pass through, yet can never reach. At the heart of this installation is an interest in the emotional resonance of imagery and sound at the boundaries of referential versus abstract visual/audible perception. 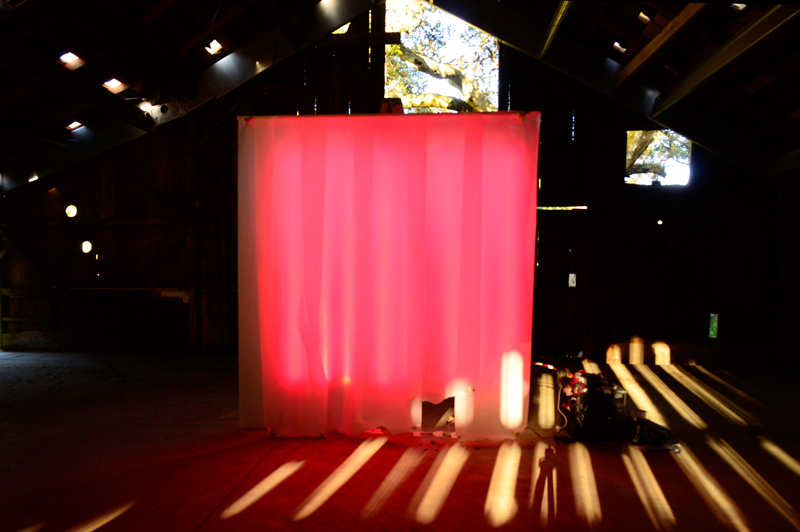 This initial work-in-progress showing as a temporary installation at the Djerassi Resident Artist Program‘s fantastic Old Barn from April 8th to 10th, 2013 shows the first working model / prototype of the Horizon-line project. 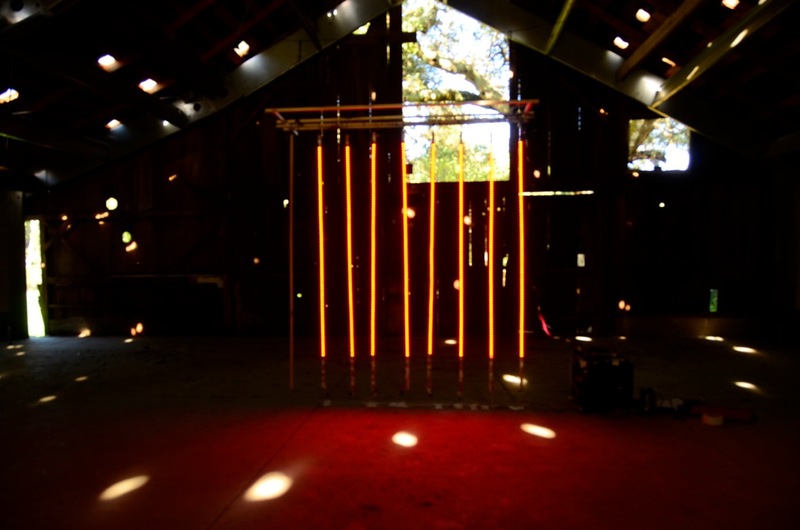 The full scale installation envisions a space fully divided by the double-sided light / sound horizon that you see. Research questions include : How can investigations of site, place and moment, which have particular associations and connotations, be abstracted and distilled the pure elements – of light and sound – which form their essential structure? How much of a ‘trace’ is left by the connotative reality in which we experience them? At what point is the ‘trace’ lost – allowing the experience of that place / moment to pass beyond the horizon? This model uses a series of 90x8LED pixels arrays using the inexpensive but fussy WS2811 chip with control provided by the new Teensy 3.0 microcontroller, and relying on Paul Stoffregen’s Octows2811 library for frame-syncable video playback. Live infrared video is being processed through isadora, and ultimately fed to the Teensy array. Much of the work behind this prototype was to work out technical feasibility around issues of 1. scaling to large public art / gallery context, 2. dealing with power issues- this installation is run solely off of battery power, and the larger installation is envisioned to run off power collected on site during the day.